I lived in a tree for the first 9 years of my life. Really, I lived there. It was a giant old juniper tree in Albuquerque and I had smoothed out all the branches, using the sections below the flat, broad evergreen boughs as rooms. There was even a bathroom! When feeling particularly adventurous, I would weave those boughs together to make a slide. Jumping onto the slide released the tension from the weaving sending me flying! We moved when I was 9 years old and leaving that precious space for a tiny weed filled backyard was such a terrible shock, I never quite recovered. 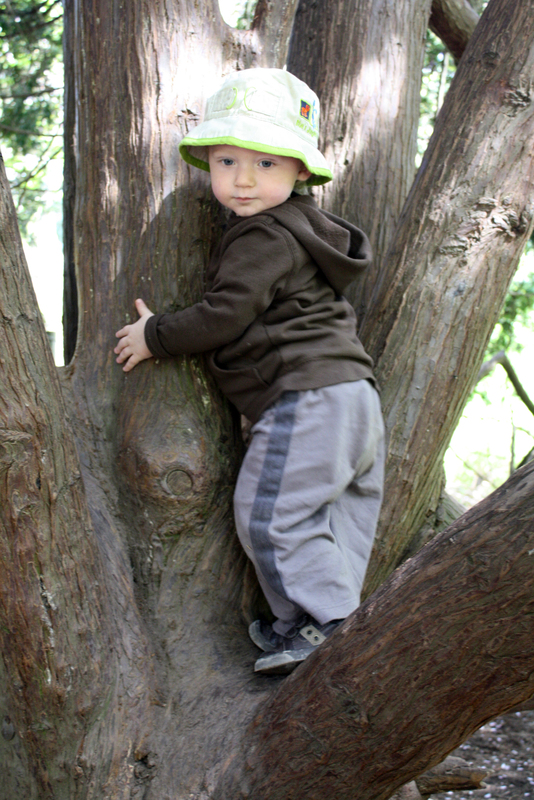 Raising my son in an urban environment presents some challenges in giving him the opportunity for playing outdoors. Trees are often late night hang outs, riddled with broken glass and empty containers. But there are some treasures in every city and I know that giving him time to play in nature is worth the risks. Children and Nature Network: The Children & Nature Network is leading a movement to connect all children, their families and communities to nature through innovative ideas, evidence-based resources and tools, broad-based collaboration and support of grassroots leadership. Nature Rocks: The Nature Conservancy’s Nature Rocks program aims to inspire and empower families to play and explore in nature. Our mission is to make it easy for you to have fun in nature, and connect with others to do the same. 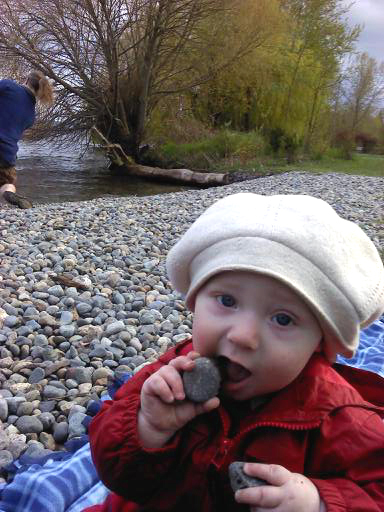 We want all families to see for themselves how much Nature Rocks. Your kids will be happier, healthier and smarter, and besides, it is generally free and a rockin’ way to create and share fun quality family time. KaBOOM! is a national non-profit dedicated to saving play for America’s children. Our mission is to create great playspaces through the participation and leadership of communities. Ultimately, we envision a place to play within walking distance of every child in America. The Outdoor Child: Our mission is to create and maintain an adventurous environment where friends and family can gather to share in the love of all things nature. We hope that you will be inspired, in the midst of a busy world, to step back into nature and revel in her beauty. We encourage you to pause, take a deep breath, and celebrate in what an awesome world we live in. Active Kids Club: Our mission is simple… We love to have fun outside with our kids, regardless if it is swimming with manatees in Florida, exploring Central Park in New York or just simply being outdoors PLAYING in your own backyard. We try our best to provide you with the best information about simple outdoor ideas, Fresh Air Living (lifestyle) and Cooking with Nature. Outside Mom Blog: “ONE – I’ve spent 14+ years working with children, teachers, and citizens alike, helping them understand the importance of the natural world and it’s relation to every subject on earth. I used to think the future lay in the hands of educators like myself. Then I had children. While I don’t discount the importance of formal educators, I better understand the role of engaged parents. I hope my blog can encourage and empower moms to take full advantage of the experiences the natural world has to offer their kids. Outdoor Nation UK: Evidence of a long-term and dramatic decline in children’s relationship with the outdoors is ‘overwhelming’ and urgent action is needed to bridge this growing gap before its too late, according to a new report published by the National Trust. In his Natural Childhood report naturalist, author and TV producer Stephen Moss charts years of academic research and a steady stream of surveys on the subject, highlighting how a generation of children is finally losing touch with the natural world.